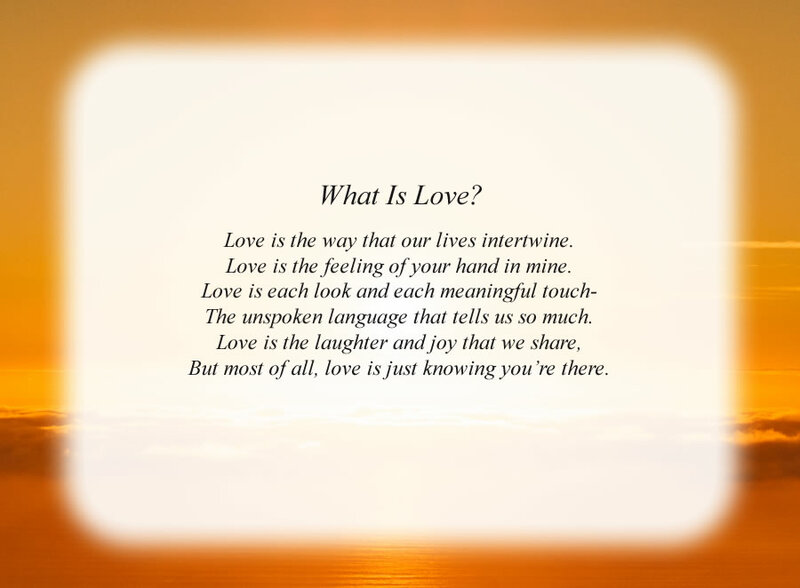 Free Love Poem - What Is Love? Love is the way that our lives intertwine. Love is the feeling of your hand in mine. The unspoken language that tells us so much. But most of all, love is just knowing you're there. The poem, What Is Love?, is free and printable by opening or downloading using one of the three links below.